The world’s largest money manager’s ubiquitous portfolio platform wasn’t the first. But even some competitors say it’s the best. Apple has the iPhone. Netflix has House of Cards. Bloomberg has the terminal. And BlackRock has Aladdin. Aladdin, for those not inserted into the bloodstream of institutional asset management, is the industry’s dominant platform for keeping track of portfolios. It wasn’t the first — since the 1980s mundane tools like accounting software, allocation modeling systems, and market data feeds have become essential — but it has been, for more than a decade now, almost certainly the best. It was early 2006 when the second-largest pension fund in America discovered Aladdin, the portfolio operating system commercialized by BlackRock at the start of the century. The fixed-income team at the California State Teachers’ Retirement System was searching for a better way to keep track of what was then a $32 billion bond portfolio. Among the providers under consideration were Wilshire Analytics and Charles River Development, which each supported front-office functions like risk management and performance attribution. Charles River, in particular, had made a name for itself with its portfolio management software, which by the end of 2006 had more than 225 clients across 30 countries. Both were rejected in favor of BlackRock’s Asset Liability and Debt and Derivative Investment Network — Aladdin, for short. Although it had been commercially available for only a few years, Aladdin was already sought after by institutional investors eager to get their hands on the risk calculator behind BlackRock. Since its founding in 1988, BlackRock had developed a reputation for strong risk management. The Federal Reserve Board of New York, for example, picked the firm during the financial crisis to manage a $30 billion portfolio of Bear Stearns assets after the bank collapsed. And BlackRock has no intention of stopping here. The world’s largest asset manager has, over the past few years, placed a huge emphasis on technology — CEO Larry Fink is aiming to have 30 percent of the firm’s revenue derived from tech by 2022. It is an ambitious vision that encompasses a number of tech initiatives, among them an artificial intelligence lab and a series of fintech acquisitions. But a key factor is the continued growth of the Aladdin business. BlackRock’s competitors aren’t going down without a fight. Charles River, for its part, has joined forces with State Street to create what the two firms are describing as the “first-ever global, front-to-back, client servicing platform from a single provider.” Others, like Copenhagen-based SimCorp, are countering BlackRock’s efforts with aggressive expansions of their own. The European firm is now targeting growth in the North American market, where it sees its Dimension platform and BlackRock’s Aladdin as “the only game in town,” according to James Corrigan, managing director of SimCorp North America. When Goldstein joined BlackRock as an analyst, it was 1994 — the year of what Fortune magazine dubbed the Great Bond Massacre. Fixed-income portfolios blew up amid rising interest rates and shrinking bond prices — and the risk analytics BlackRock had spent years developing were thrust into the spotlight. Over the next six years, there was continued demand for BlackRock’s risk management services, and by the late ’90s, institutional investors were interested in installing BlackRock’s operating system at their own organizations. That first external implementation of the Aladdin platform was finished in 2000, and with it BlackRock Solutions was born. By the end of that year, the firm’s “assets under risk management” exceeded $1.3 trillion. Also resonating with clients are the breadth and depth of the Aladdin platform, which supports a full range of investment functions across all the major asset classes. Take CalSTRS, for example. Ten years after the pension fund’s fixed-income team adopted Aladdin, its global equities team went on the hunt for a portfolio management system of its own. The decision, as portfolio manager David Murphy describes it, came down to two options: Hire the best-of-breed provider, or use the same platform as the fixed-income team. In the end, the ease of a consolidated system won out. There are only a “very limited” number of providers that can truly support the full range of investment operations on a single system, according to Claudio Prutz, who leads digital efforts at Munich Re’s internal asset management arm. One is BlackRock, and another is SimCorp. Prutz says his firm, MEAG, has been using SimCorp’s Dimension since 1999, when MEAG was first spun off from the German reinsurance company. Today the asset manager uses the SimCorp platform across nearly all aspects of its business, from performance measurement and risk management to trading and settlement. Just about the only thing that’s not run on Dimension is MEAG’s special ledger, which the asset manager manages on SAP. And Dimension continues to attract new clients: Just the other week, SimCorp announced another bank had signed on to use Dimension in its balance sheet operations. If the industry does continue to consolidate, specialized portfolio software — in compliance systems, for example, or back-office support — could be squeezed out. Some providers are responding to this threat by doubling down on what they do best. 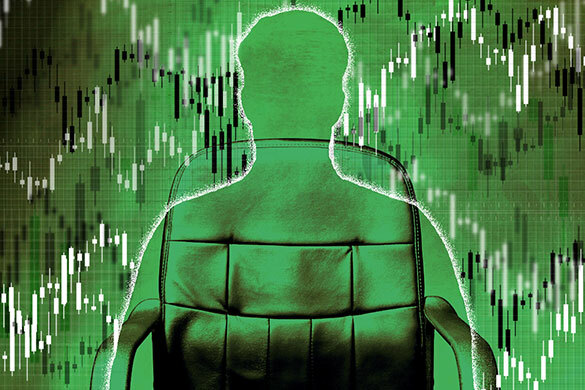 MSCI, for instance, continues to invest in its popular portfolio analytics business, this year launching new tools for factor analysis and environmental, social, and governance investing. “We’re never going to finish investing in this thing, because the state of the art is constantly moving,” says Jorge Mina, MSCI’s head of analytics. Other providers, meanwhile, are trying to match competitors like Aladdin and Dimension by expanding their own product offerings — often through acquisitions. Portfolio software company SS&C Technologies has centered its entire business strategy on buying up other companies, acquiring 51 businesses over the past 23 years. The latest competitor to make the move toward a full-service, front-to-back offering is Charles River, which has been acquired by State Street. The deal will combine Charles River’s widely used front-office software with State Street’s back- and middle-office expertise. “By integrating Charles River’s tools, we will provide our clients access to standardized, real-time data from a single platform, enabling them to analyze and understand their investments holistically and make it easier for them to put their data to use,” State Street says in a statement to Institutional Investor. With $25 trillion in institutional and wealth assets already managed on Charles River’s platform, the acquisition could create a powerful new rival. Still, SimCorp’s Corrigan doesn’t seem too worried. “They’re still having multiple platforms that they have to stitch together, a very different philosophy and approach to SimCorp,” he notes. 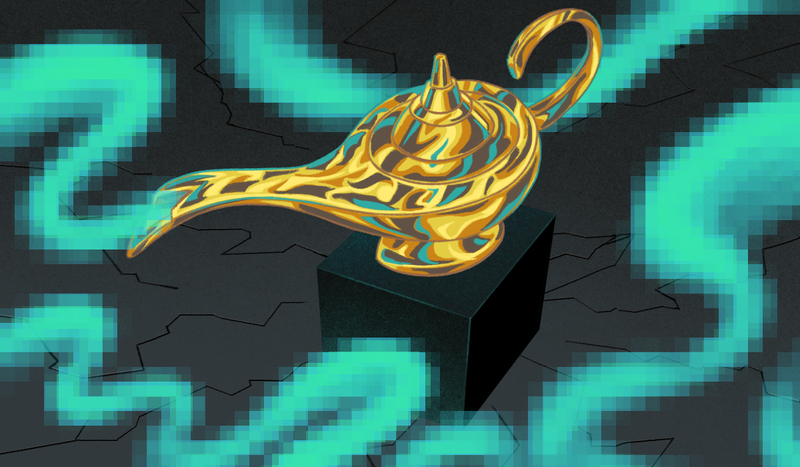 Unless something drastic happens — Aladdin fails to predict a catastrophic risk, or the client data entrusted to the operating system becomes compromised — BlackRock’s hold on existing clients may be difficult to break. As MEAG’s Prutz points out, platforms like Aladdin and Dimension tend to be long-term commitments. Now BlackRock strives to make its tools indispensable for wealth management firms. “We’re trying to give the power of Aladdin to financial advisers and distribution providers,” COO Goldstein says. Since Aladdin’s entry into the retail space last year, BlackRock says the technology has been adopted by a handful of new clients, including divisions like UBS Global Wealth Management and Morgan Stanley Wealth Management. The UBS unit was the first financial advisory firm to introduce Aladdin to its business, a decision advisory solutions head Michael McVicker describes as a “tremendous success” for its clients and financial advisers. Reviews were similarly positive at Morgan Stanley Wealth Management, which worked with BlackRock to build a customized platform powered by Aladdin’s risk analytics engine. Chris Scott-Hansen, head of portfolio and trading solutions, says BlackRock allows its financial advisers to monitor risk in clients’ entire portfolios — not just their assets managed by Morgan Stanley. But even as BlackRock pushes into the wealth management arena, it’s not pulling back from efforts to continue winning over institutional investors.